As with all legal documents, your alimony agreement is only as good as its ability to be enforced. This is an important consideration when drafting a new alimony agreement and when a payor or payee is not adhering to the terms of an existing agreement. 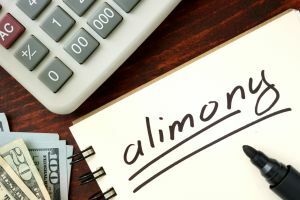 Alimony does not have the same strict guidelines for payments as other divorce issues such as child support, but that does not make alimony agreements any less enforceable. This begs the question, what can be done if an alimony agreement is being ignored, and how can these disputes be resolved? At The Bronzino Law Firm, we understand that after a divorce is finalized, the legal disputes may not end there. Our firm takes pride in not only drafting, but also enforcing alimony, child support, child custody, and all manner of agreements for our Ocean County clients from towns including Brick, Point Pleasant, Spring Lake, Toms River, Wall, Jackson, and across Eastern New Jersey. If you are having an issue with the enforcement of an existing alimony agreement, lean on our experience to seek an amicable and reasonable resolution to your dispute. Call our office today for a free and confidential consultation with a member of our experienced and qualified divorce legal team regarding the enforcement of your alimony agreement and how we can best serve your needs. Contacting your former spouse – It is appropriate to contact the alimony payor and hear their side of the story. In some cases, lack of payment was a simple misunderstanding or forgetfulness. An attorney can do this on your behalf as well. Modifying your alimony agreement – In many cases, an unforeseen change of circumstance has taken place and changed the financial situation of one or both parties. Alimony modifications can take place outside the courtroom or through a formal modification hearing. Filing a motion in court – Finally, if your former spouse is not cooperating and has no reason to not be making payments, a formal petition in the NJ court system may be needed. To reiterate, it is possible for our Toms River alimony enforcement lawyer to help modify your existing agreement out of court. This of course requires the cooperation of both parties and the existence of an amicable solution. Otherwise, you may choose to file a motion to recover your due alimony payments. Within this motion, you may request resolutions for late payments, that future payments be made in a timely manner, and you may even be eligible to have your legal fees reimbursed by the defendant. Our legal team will strive to show that your alimony agreement has been breached and that you have indeed not been paid that to which you are owed. Alimony agreement enforcement lawyer Peter J. Bronzino has earned a reputation in the local community as an honest, dependable, and tenacious legal advocate. Our firm takes pride in offering personalized and informative legal service for clients from Ocean County towns such as Wall, Toms River, Howell, Brick, Point Pleasant, Monmouth County, and all of Eastern New Jersey. We take the time to get to know our clients, understand what matters most to them, and aggressively pursue the best possible outcome. If you or a loved one is experiencing issues with the enforcement of an alimony, child support, child custody, or any other family law agreement, please contact us online or call our Brick office by dialing (732) 812-3102 today for a free and confidential consultation.